The Nike Kyrie 5, in its many upcoming schemes, has grown to encompass toolings outside of the usual performance-driven motifs, forgoing the more simplistic hits for inspirations of fond connection to the player from which it earns its namesake. Paying homage to the award-winning sitcom “Friends,” the forthcoming release pairs a monochromatic base with colorful accents connected to the show’s iconic handwritten logo. While that sits proudly hanging along a rear-facing tab, more vibrant hues find themselves painted atop the various molded outsole accents and cord eye stays in relation to the dots that sit between each letter of the oft-seen title card. Take a detailed peek at the soon-to-arrive Kyrie 5 below and find them hitting select retailers and Nike.com come May 16th. 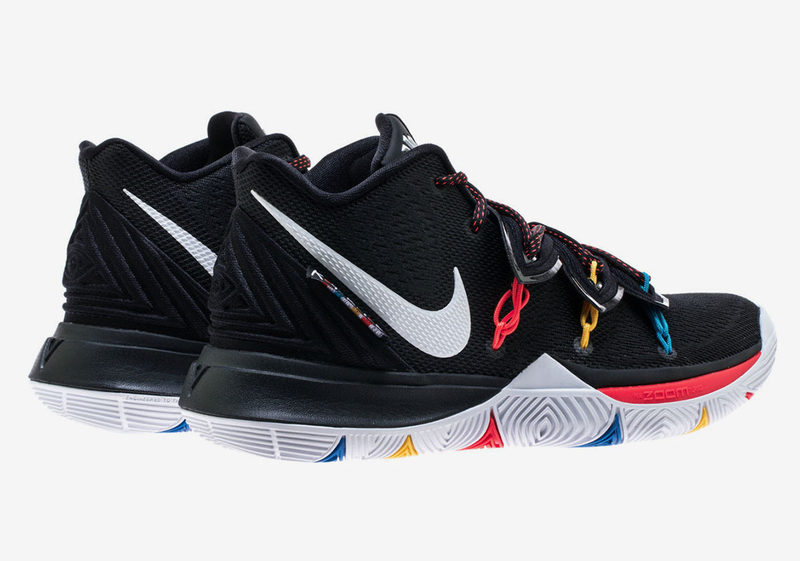 The post The Nike Kyrie 5 “Friends” Releases On May 16th appeared first on Sneaker News.